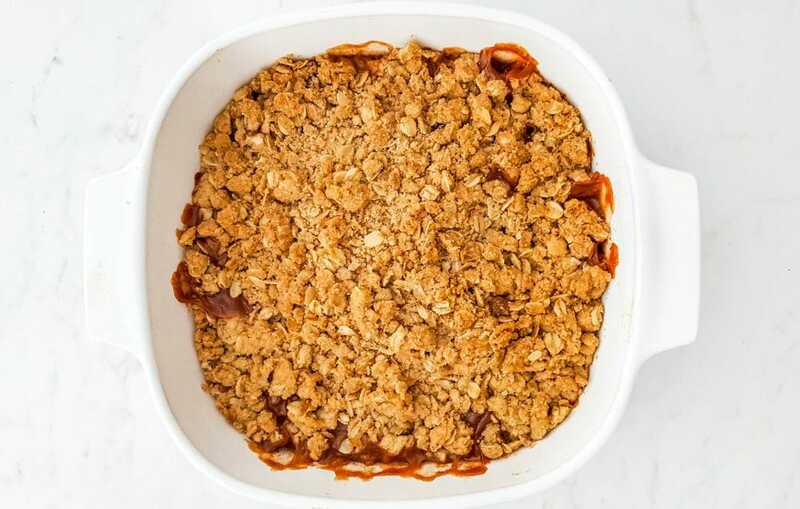 Warm and flavorful, this Gluten-Free Apple Crisp Recipe has all of the season’s best flavors, including juicy apples, butter, brown sugar and cinnamon. 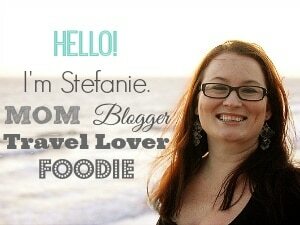 Yesterday I shared a wonderful recipe for homemade apple pie filling. If you haven’t seen it yet, please stop what you’re doing and check it out. 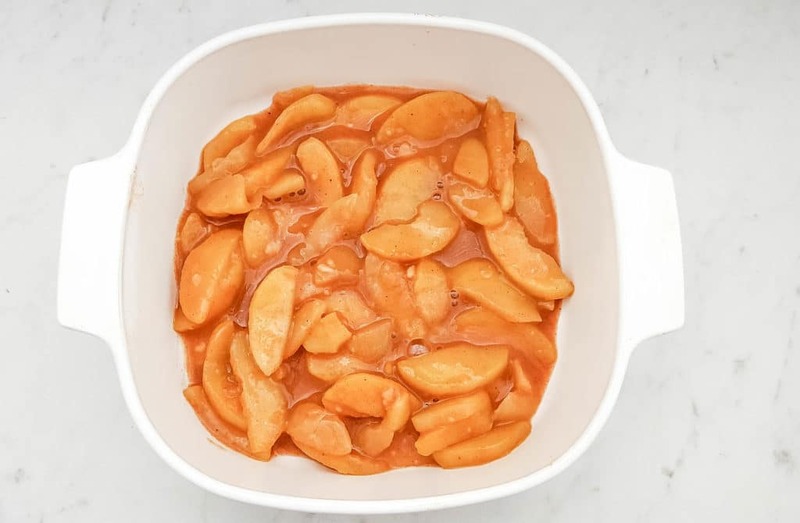 It’s super easy to make your own apple filling and it tastes a million times better than canned. 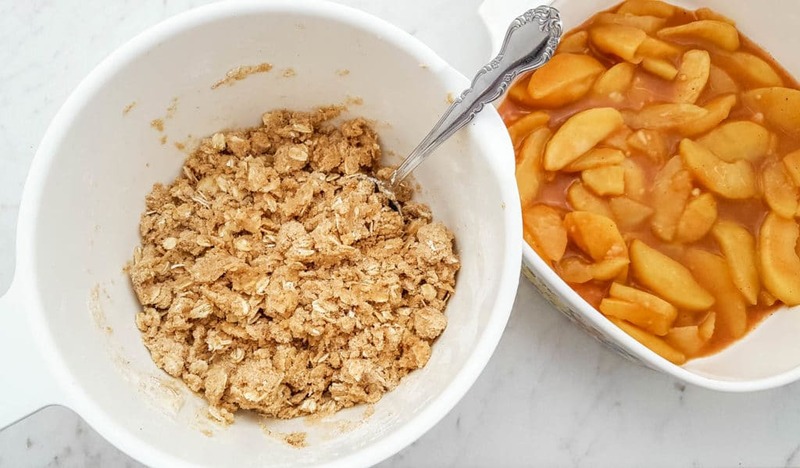 When you’re done drooling over those delicious cooked cinnamon apples, come back here for the quick & easy apple crisp recipe. So, what makes this recipe so easy? Well, you only need to layer a few simple ingredients to make a delicious, warm and comforting apple crisp dessert with all the flavors of the season. Enjoy this easy apple crisp as is, or top with vanilla ice cream for the ultimate fall treat. This apple crisp recipe is gluten-free as written, using gluten-free flour and oats. 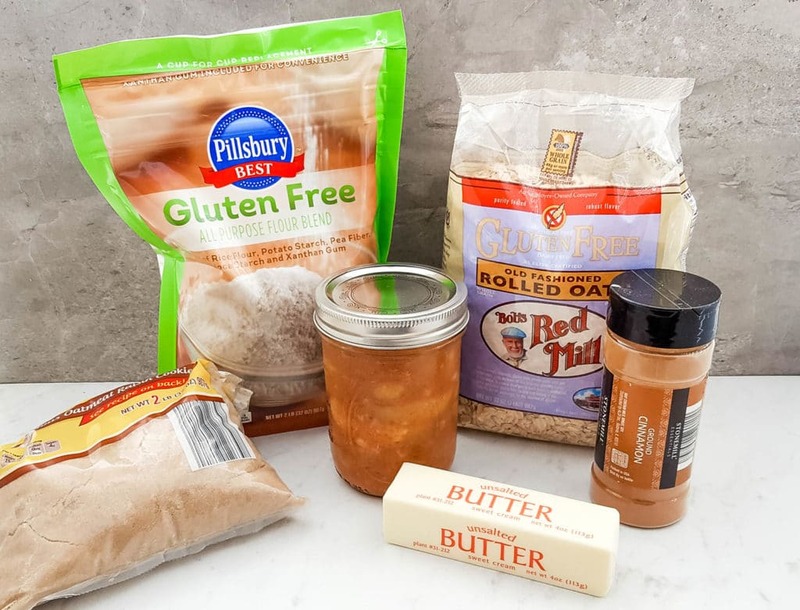 If you don’t have a gluten sensitivity, you can simply use regular all-purpose flour and rolled oats. 2. In a 9×9 glass dish, pour the apple pie filling in an even layer. 3. 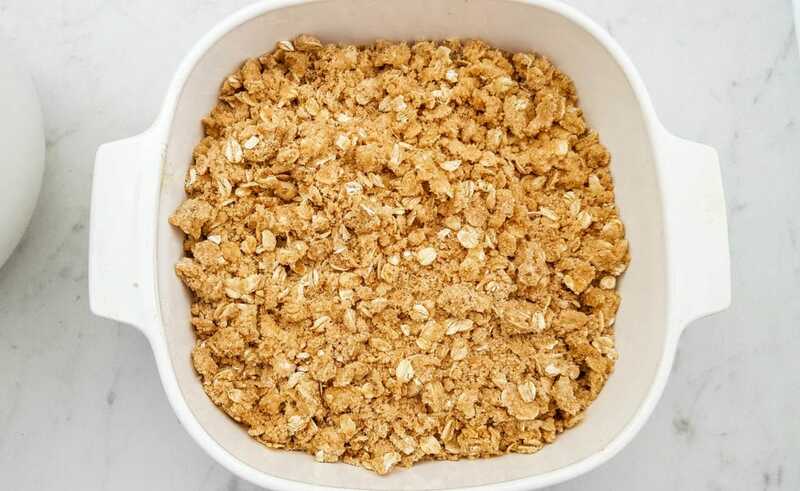 In a large bowl, mix all crumble topping ingredients together. Spread evenly over apples. 4. Bake in the oven for 25-30 minutes or until topping is golden brown. Serve warm. In a 9x9 glass dish, pour the apple pie filling in an even layer. In a large bowl, mix all crumble topping ingredients together. Spread evenly over apples. Bake in the oven for 25-30 minutes or until topping is golden brown. Serve warm.